As someone who greatly enjoyed 2016's The Division, I didn’t completely agree with all of the issues that some other players had with it. The “bullet sponge” enemies, for instance, didn’t bother me in the slightest. They just incentivized me to continue to hunt for better and better loot. 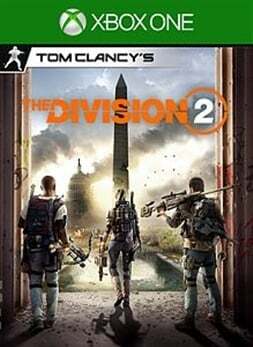 For those who didn’t enjoy the The Division as much as I did, you’ll be happy to know that Tom Clancy's The Division 2 improves upon the first installment significantly and in many ways. The new positives don’t come without a few flaws, but this is clearly a more fleshed out title and a standard bearer for live games going forward. I often found that ameliorations were made that I didn’t know I wanted until I actually saw and experienced them in-game. The setting is Washington D.C. this time around, and you’ll have to go through a short prologue mission before you can enter the city to explore it solo or with friends. A distress signal is received from D.C. which means that you’ll be in charge of stabilizing the area by performing various tasks such as helping out friendly settlements, pushing back enemy factions, and restoring the Strategic Homeland Division (SHD or "Shade") communications network. There are many more activities and missions for players to complete this time around, but the manner in which the tasks are connected through the main plot feel exceptionally weak. There doesn’t feel like a truly compelling through line this time around, as combatting and recovering from the Green Poison disease doesn't exactly feel like it takes center stage here. The Division 2 has players assume the role of a sort of “sheriff,” simply providing general aid wherever and whenever they are needed. Storytelling may not be the selling point for most players, but it was often difficult to care about any of the main missions despite regular reminders of how important the objectives were. You’ll need to make use of the eight skills and their variations in order to push back against the hostile factions. Each skill has either three or four variations, with a few more that are added in the endgame. Using certain abilities in conjunction with those of your teammates can allow you to overcome most obstacles that The Division 2 throws at you, even in the most difficult situations. This becomes doubly true if your build focuses on skill power as opposed to armor or weapons. This sequel is still going to appeal to those who love diving into all of the possibilities concerning gear stats, even more so than the first. Almost every piece of wearable gear now belongs to a set that provides stat bonuses depending on how many pieces of the set you have equipped. Discovering what gear sets and skills work best for you and your teammates while regularly being rewarded with better and better loot makes up a large part of the addictive nature of the game. There are quite a few options, especially when configuration is added into the mix which allows players to transfer buffs and talents from one piece of gear to another. With an abundance of loadout combinations available, it’s likely that many will spend tons of time in shops, crafting menus, and the inventory screens. Team composition in terms of skills and gear is arguably most important in the new Dark Zones. There is no longer one zone that splits the map in two, but three Dark Zones, each with distinct layouts and terrain. In the spirit of fairness, two Dark Zones will always “normalize” players’ stats, meaning player skill and team composition play much larger roles in survival. The third zone is known as “Occupied” and will be just like the one from the first installment, allowing players to keep their true stats. For the most part, Ubisoft has succeeded in levelling the playing field with the normalization of stats. The PvP in those areas no longer feels like a hopeless endeavor for those who haven’t put as many hours in as others. Even putting PvP aside, there are Dark Zone objectives that can be completed that don’t necessarily force confrontations between agents. Even without an engaging plot, The Division 2 is extremely fun to play. From the gunplay to the steady loot drops, the gameplay carries it in such a way that the game can easily be played for hours on end. What’s even more impressive is that my enjoyment wasn’t diminished in the slightest when playing solo. I played through a good amount of the game alone, completing almost every side quest and settlement mission along the way. As soon as you gather information from a safe house in a new area of the city, an almost overwhelming amount of optional activities will flood the map. These objectives include side missions, projects, and one of my personal favourites: control points. Side missions scale to your current level and they are well thought out, with real objectives that lead to visible changes in settlements. Projects provide lists of tasks that need to be finished before they are turned in for rewards. They aren’t exactly the most enjoyable optional content, but they are designed to have players explore the areas in which the projects are assigned. Control points are small bases in strategic locations in which enemy factions are holed up. These locations aren’t always easy to take over, but you’ll be rewarded with great loot, a new fast travel point, and a sense of satisfaction if you can get the job done. Storming a control point with the help of the civilian militia never gets old, especially since the locations are so varied. 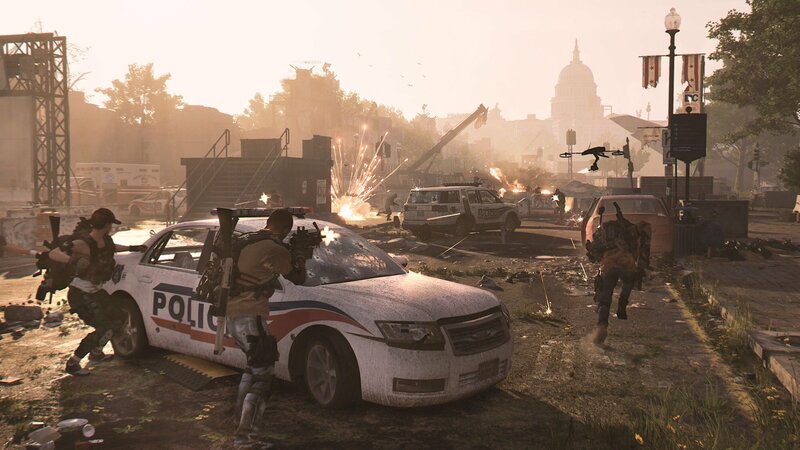 An aspect of The Division 2 that Ubisoft pushed constantly was the endgame, with its new hostile faction and specializations. Once the main campaign concludes, the Black Tusk invades nearly the entire map, causing you to lose access to the majority of control points and settlements while also altering previously completed missions. The extensive additional content post-game is absolutely a welcome change of pace because of the changes to missions alongside enemy behaviors and abilities, but after nearly 40 hours put into the main game, I had very little desire to immediately retake all of the points and locations that I had already gone through. It also feels as though the specializations should have come earlier on in the game. Finally gaining access to the three unique weapons without being able to add many points to their respective skill trees made it feel as though the specializations could have somehow been implemented earlier on and improved as you progressed instead of something that is given to you only after finishing the campaign. Specializations are in no way a negative, but I found myself wondering what it would be like if they had been implemented in a way akin to skills in another loot shooter, Borderlands. D.C. is certainly an improvement over the first game’s New York in terms of its layout and the sheer amount of content available to experience, but with the huge map and plentiful combat situations come faults that can’t be left unmentioned. As with a few other large open world games, The Division 2 suffers from a small number visual glitches along with frequent texture pop in that became more noticeable as my play time rose. The frame rate only took hard dives on rare occasions, but when it did, it made the game look almost like a slideshow. In my experience, there weren’t any technical missteps beyond those issues, however, the most frustrating pitfall of the gameplay is the enemy AI. Oftentimes, foes will leave cover and approach you in a straight line for no rhyme or reason, making for a quick and easy albeit confusing kill. The AI is at its best when attackers try to flank you strategically by moving from cover to cover outside your field of vision, but I lost count of how many times an enemy would yell “flanking” then proceed to sprint straight past me, attempting to take cover directly behind me. These moments made for some truly bizarre, immersion breaking situations. 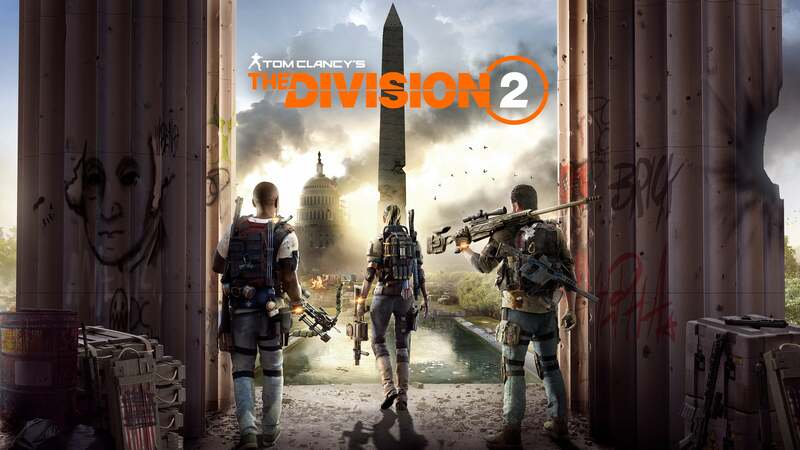 The Division 2 contains 42 achievements with the toughest to obtain having to do with activities in the Dark Zones because of the unpredictability involved. 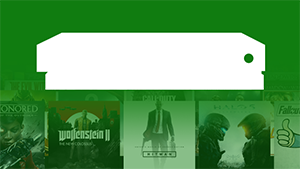 The majority of the achievements can be unlocked through campaign progress or in PvE areas. Hijacking an extraction and taking out other agents could prove difficult for some, but ultimately, the list shouldn’t take too long to get through. 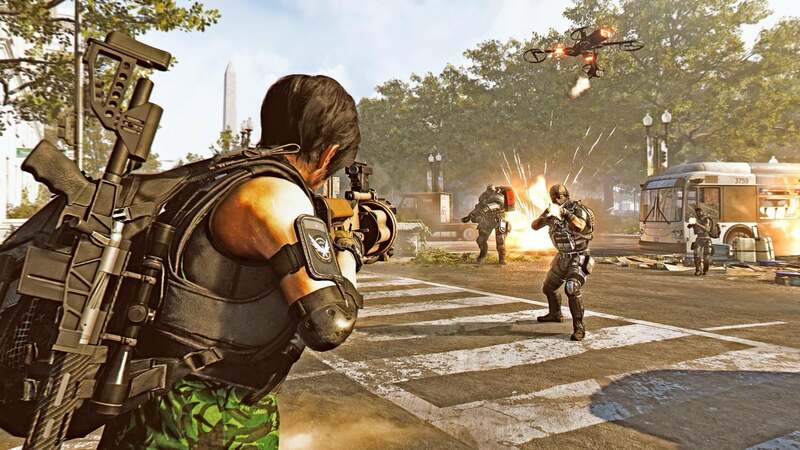 No matter how you felt about the first game, The Division 2 is likely to please players on all sides of the conversation. Ubisoft has taken criticisms to heart, and made changes that capitalize on the series' potential in ways the first game never did. Their approach to this title should be considered a success on many fronts, with their main downgrade from the predecessor coming in the form of a lackluster main plot and forgettable characters. Technical issues and instances of poor AI shouldn’t be ignored either, but they’re outshined by the superb gameplay improvements that include meaningful optional content, a deeper well of skills and gear, and a more level playing field in PvP. The Division 2 has something here for fans, critics, and newcomers alike. This reviewer spent 55 hours solving D.C.'s problems while managing to unlock 27 of 42 achievements. A download code was provided for the purpose of this review.